An item of mirrored furniture can add style and character to a bedroom, living room or dining room. By choosing mirrored furniture you can brighten up your whole room in an instant. Light reflects great from mirrored furniture and it will automatically add extra light to a room. The first mirrors, created by the ancient Egyptians, were made from polished pieces of bronze shaped into discs. By the 17th century, the process of mirror making had been altered to create a smaller metal backing enabling better manipulation of the material and thus the ability to use mirrors on objects, such as furnishings. By the 19th century, the process was much cheaper and mirrors could be found on all types of furniture such as wardrobes, tables and even used to decorate palaces. 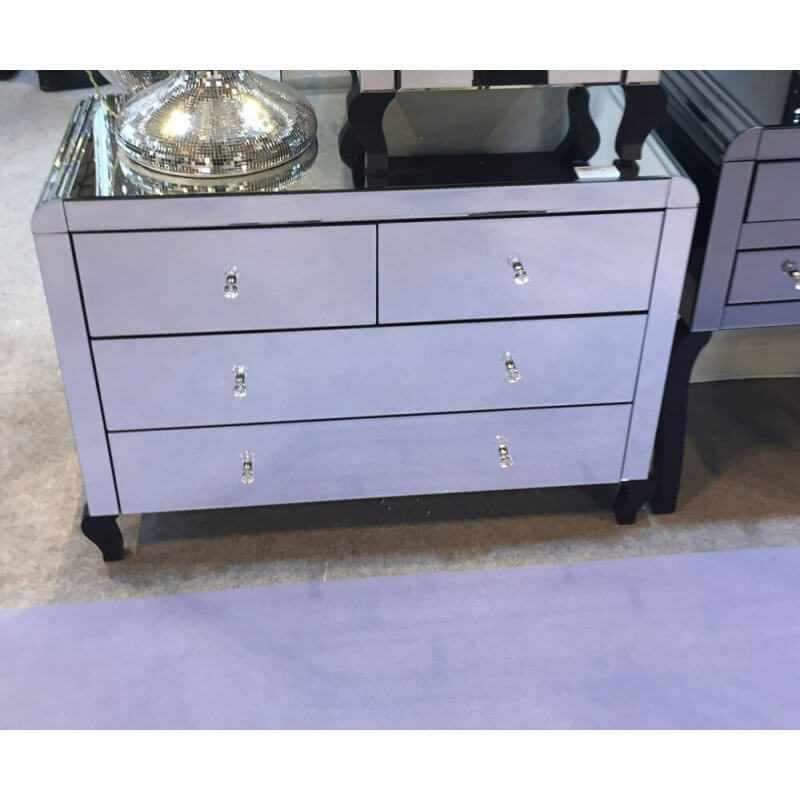 At Zurleys we have a great range of mirrored furniture, one of our striking pieces of furniture is the Venetian mirrored chest with 4 drawers and bevelled sides. This chest of drawers is really unusual in that it has a wavey style making it striking in its own right. 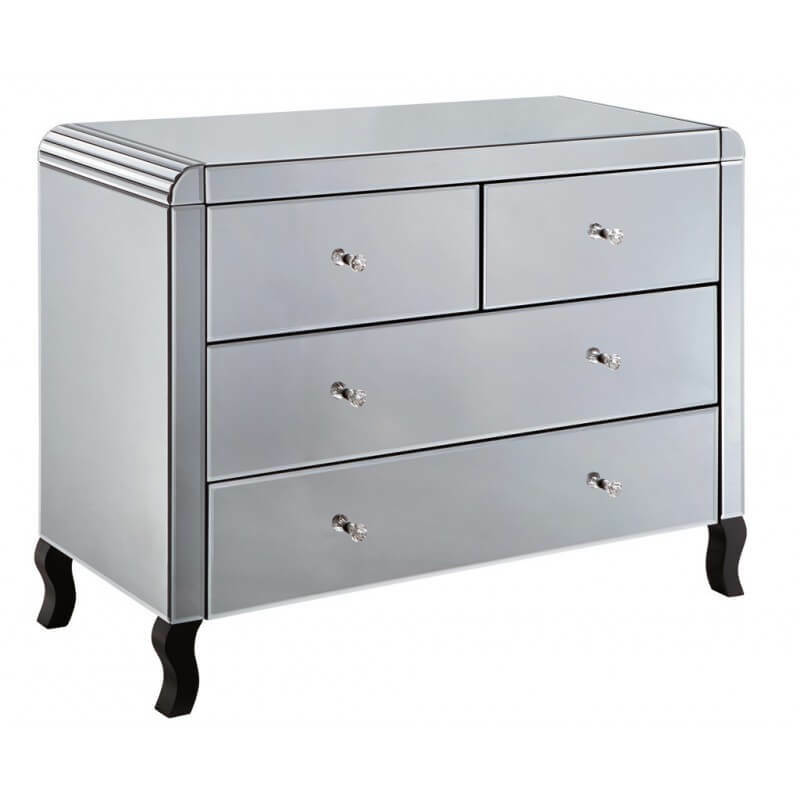 This chest of drawers would add style to any room as well as being a great storage space for your items. 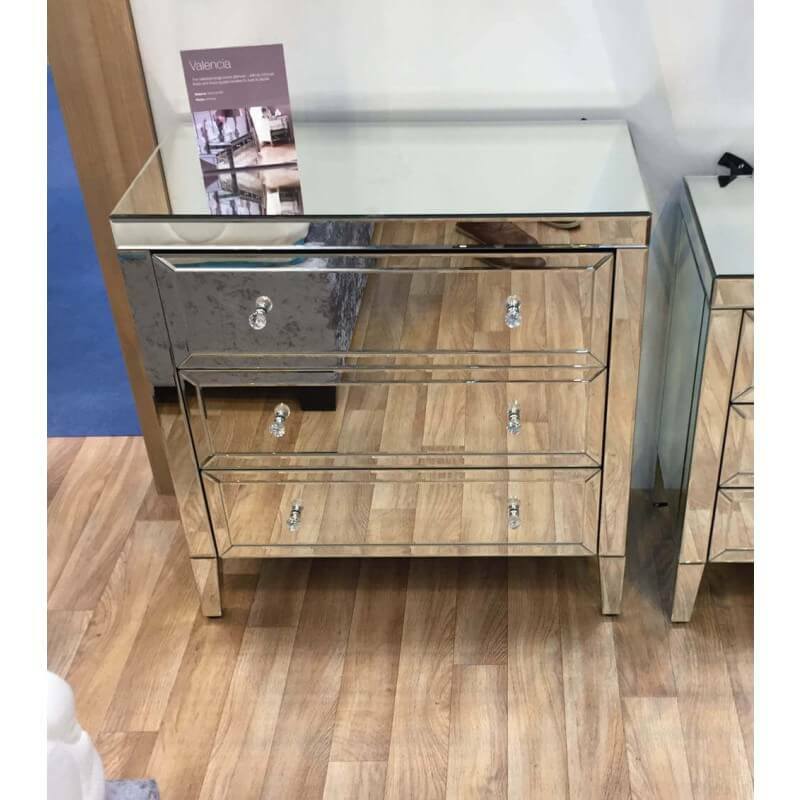 If you want an elegant centre piece for your bedroom then we have a beautiful smoked mirrored dressing table which has bevelled curved edges. This beautiful dressing table is in a smoked mirror style, the edges to the top sides of this dressing table are curved and have a bevel design. 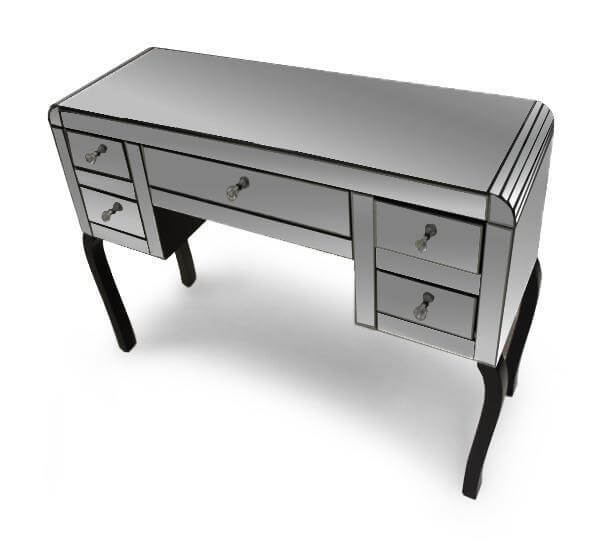 Sitting on elegant shaped legs this smoked mirrored dressing table would look great with the mirrored stool that we supply which has a black velvet top. A coffee table is a great focal point for any living room, if you decide to choose a mirrored coffee table this will be a great feature for your room. At Zurleys we have a rectangular mirrored coffee table. This coffee table has solid mirrored sides and also has an under shelf for additional storage. You can certainly stand out from the crowd with the mirrored column/stand, this column type glass stand has an elegant feel to it and you can place an ornament, plant, lamp, etc. on top of it. By placing a lamp on this stand it will automatically add extra light to the room by reflecting off the mirrored surfaces. This mirrored side table would also look great on its own or with an art deco style ornament on it. We all want to brighten up our home and this can easily be done by choosing a mirrored piece of furniture. Browse through our lovely designs available online. At Zurleys we offer the best prices on mirrored furniture. We also offer free delivery and their are no hidden costs once you decide which mirrored item you want. Choose in the comfort of your own home and get the item delivered direct to your door.